The Council intends to have a voice in the development of the area for the benefit of the whole community. The Community Council aims to coordinate and support the existing groups in the parish, being made up of representatives from the various clubs in the community and representatives of most of the existing groups. The Council meets once a month in the parochial house and holds and annual AGM in the Community Hall. It is a limited company with charitable status. Main activities of the group to date. Acquiring and developing a community playing field near the village. Running an ongoing community lotto, which has to date raised a substantial funds to pay for the new community field. Contributed substantially to the planning debate with Local Authorities. Acquired and re-roofed the Tinsley Lodge house. Conducted research into the sports needs of the community and drawn down substantial grant funding both national and local for development of sports and playing facilities. Facilitated the establishment of the Community Alert Scheme. Participated in the LEADER/ South Tipp County Council 4 Parishes development pilot programme For rural development. Supported the Tidy Villages group. Bernie Maher, Eamonn Maher, PJ. Long, Dan Butler, Ciaran Mangan, Jim Ryan, Kieran Barrett, Stephen Houze, Gerry Quigley, Donal Mullane. Tidy Villages group — Marie Barry, Pat Fortune. Currently the population of the village is around 1,000 people, roughly one third of whom are under 16 years of age‘ and approximately 63 are over the age of 65 years. There are around 17 adults who cannot work at all due to sickness or disability and around 86 who are occupied full time in the home caring either for family or people with disability. The Community Council is very concerned that within the existing Local Area Plan for the village, there is provision for a further substantial number of houses. If all these houses are built, the village population could double very quickly and there is no apparent provision for any new public services and amenities. The Community Council has proposed that no further land be zoned for residential use in the village area and that some of the land that is presently zoned for residential use is re-designated for the development of social and infrastructural use. The Council believes that in order for the community to develop with its own unique identity, it is essential that any further housing development will reflect the varied demographic needs of the population. The Community Council also has serious concerns that any further housing development will have long term implications with regard to the provision of an adequate and sustainable water supply, storm water management and sewage treatment, as well as waste disposal services. The existing water supply is described as having ‘intermittent supply difficulties’ and the municipal wastewater treatment plant only has spare capacity for a further 350 PE. To cater for the additional residential development for which land has been rezoned, and any further community or commercial development a new sewage treatment plant would be essential. The Community Council would like to see the walled garden of the Knockeevan Estate being declared a protected structure and that no development would be allowed in or around this area. 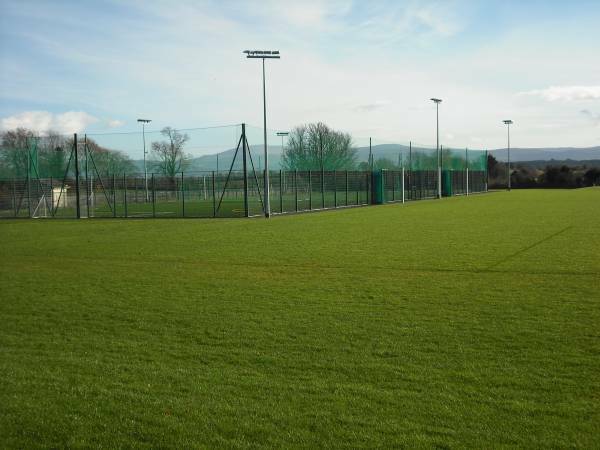 To finish the playing fields and facilities to the highest specification. 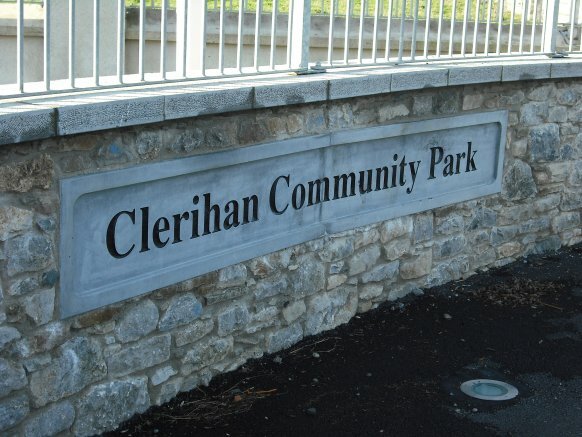 To have the official name of the village changed from Ballyclerihan to Clerihan. To involve more volunteers in the Community. Secure the Linley Lodge for future development with a view to handing it over to a new heritage project management group. To continue to build on the very successful community lotto.